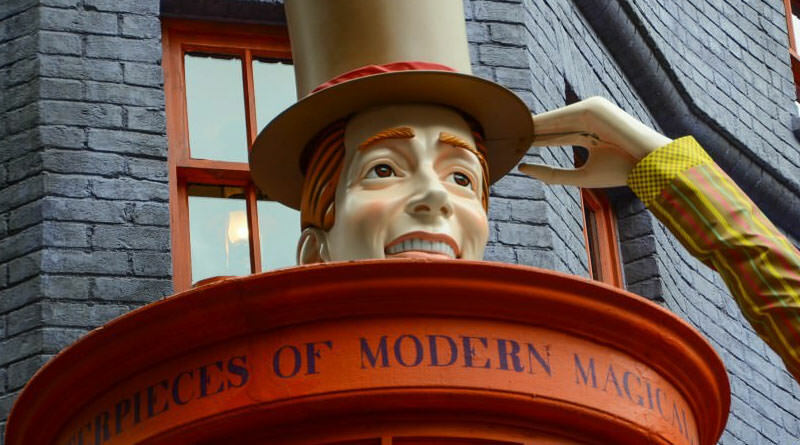 If you haven’t had the joy of shopping for sweets and treats in The Wizarding World of Harry Potter then you are really missing out. From Fizzing Whizbees to Exploding Bon Bons, there are many delicious snacks available in beautiful, collectible packages, but best of all is a Chocolate Frog. 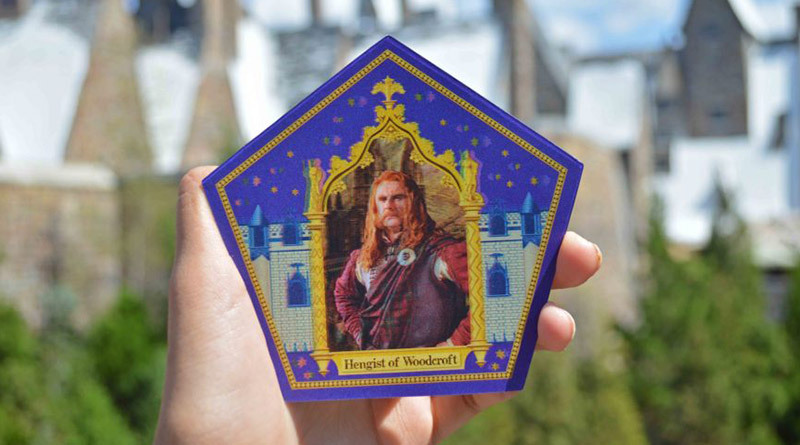 Starting November 17, you will find a new wizard – Hengist of Woodcroft, founder of Hogsmeade village – in specially marked Chocolate Frog boxes. According to the Official Universal Orlando Blog, the story behind Hengist of Woodcroft is that he was a former Hogwarts student who was driven away from his home by Muggles before settling down in Scotland, making the Three Broomsticks Inn his new home. Hengist of Woodcroft joins Godric Gryffindor, Salazar Slytherin, Helga Hufflepuff, Rowena Ravenclaw, Albus Dumbledore, and Gilderoy Lockhart in the Chocolate Frog card lineup. Eventually, the card will be mixed into the regular inventory and you won’t be guaranteed to get it. This isn’t the first time that Universal has introduced a new Chocolate Frog card. During A Celebration of Harry Potter 2017, they introduced the Gilderoy Lockhart card and at one point in time there was a limited edition gold Albus Dumbledore card. Considering there are still many wizards and witches to feature on cards in the Wizarding World, this surely won’t be the last time we’ll see a new Chocolate Frog card.